For this Wednesday’s drop we will be doing things a bit different. 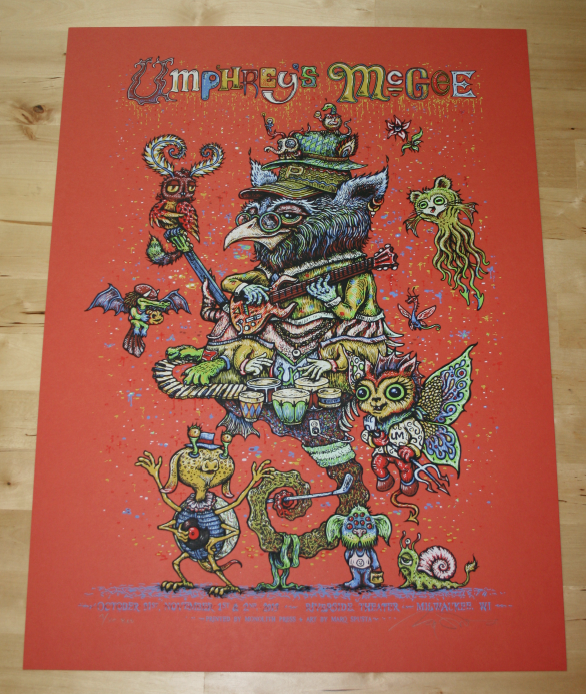 There will be two separate poster variant purchasing lotteries posted here, at the marqspusta.com news feed. 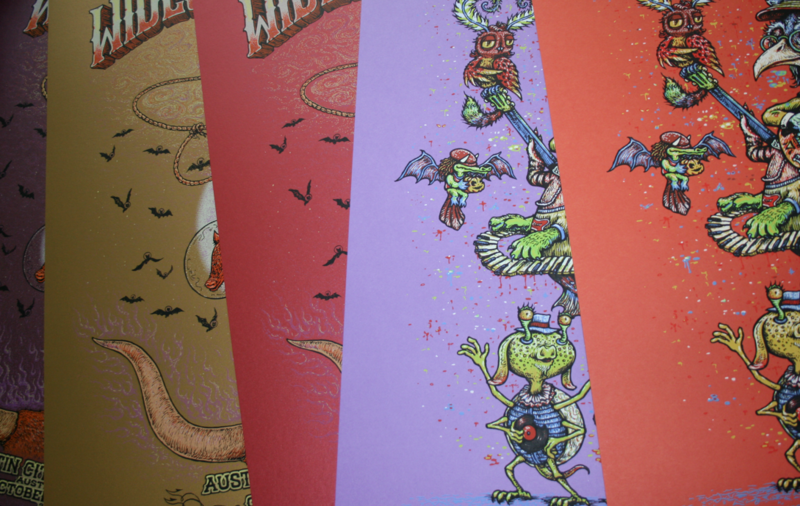 Along with these lotteries, a limited inventory of a few previously “sold out” prints will be released in the shop. 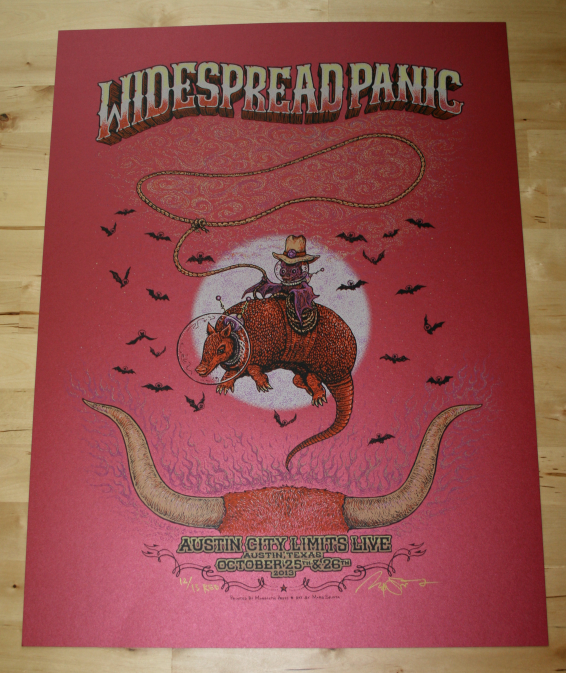 The Widespread Panic poster for the Austin City Limits shows will have an artist edition on metallic purple paper as well as the Red and Old Gold variants that will be in this lottery. The AE won’t be released in the Shop until December. 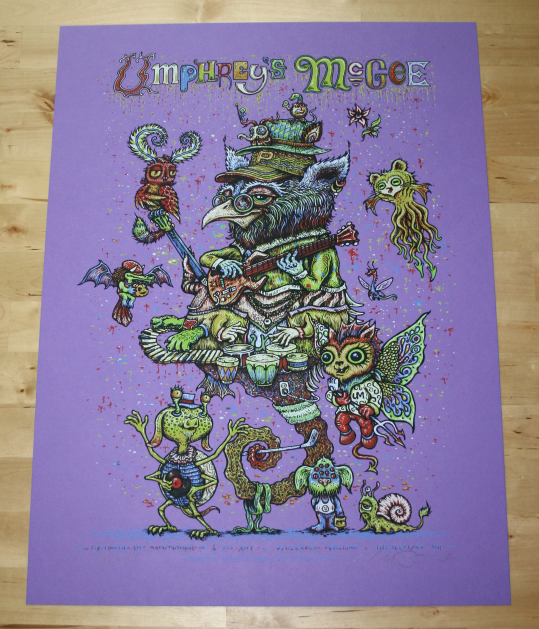 The Umphrey’s McGee Halloween Mash-up poster will not have a usual artist edition. Instead there are these Red & Purple variants and a mini-thingy to come. The artwork from this poster is also being reworked into an art print that will see a proper release in the Shop, hopefully before the holidaze. Both of these Humpday Variant Lottos will be posted at random times on 11/20, and will only be open for a few hours. The next humpday sale, the day before Thanksgiving, will be minimal due to the holiday. 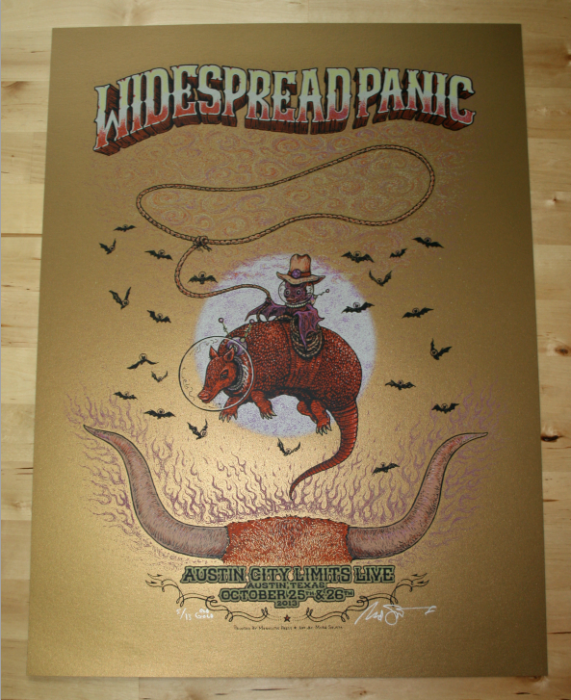 Look for the release of the Widespread Panic Austin Artist Edition, along with many new prints in December. If you have any questions, please feel free to ask them here. All orders from the previous two humpdays sales have been shipped (Internationals are going out today). would love any panic variant! Always a pleasure sir – thanks for the update ! HUNP DAY ! It’s always cool to see where all these minis on rad papers are coming from. I’d like consideration for the WSP red and old gold variant lotteries please. Thank you. Lottos will be posted tomorrow with instructions. Let the lotto gods shine their light on me!!! Can’t wait for that UM print to turn art print! Nice, thanks Marq for the info. Great job once again Marq- Im so psyched for these UM variants I might wet myself! The Austin WSP shows were great! Hoping for a Red or Gold. Today feels like Christmas. I will keep checking back hoping Santa got here! ACL Red for me please. Can’t wait. Been out of “the loop”. Can’t wait to get some of the new stuff.i have been instructed my wife wants a Spusta Christmas. i gotta go for the gold here, as i finally have the scratch this week, you know i love purple, but i must go for the gold, though red stock is my favorite, so either would do, i’m just hoping to get lucky when i have the funds, that’ll be all i’m done losing i need to win one time, i’m due, thank you! Looking for a Red Austin…want to make a friend’s day.